This week’s Illustrated Women in History was submitted by Nancy Landaverde. It will be included in the Women in History 2019 zine which will be out next month! 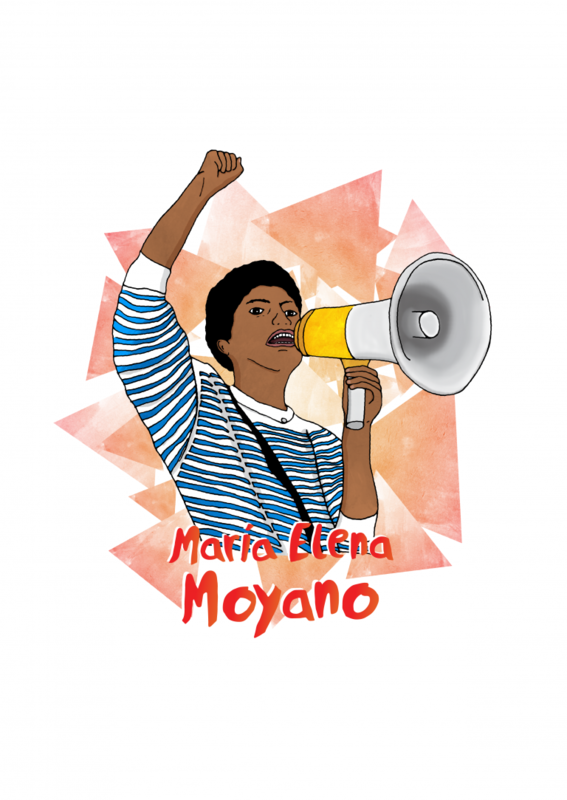 Maria Elena Moyano was a social activist from Villa El Salvador, a town on the outskirts of Lima, Peru. As a teenager, Moyano became a member of youth activist movements in her town and later became president of the Federación Popular de Mujeres de Villa El Salvador. This organization worked to create income-generating projects, provide basic education, and ensure that the children of the community were nourished. Moyano fought to empower her community at a time when Peru was facing a violent internal struggle. The Sendero Luminoso was persecuting many social organizers including Moyano, who began protesting against the terrorist group. Following numerous death threats, Moyano was assassinated by members of the Sendero Luminoso on February 15, 1992 at just age 33. To many Peruvians, Moyano was and continues to be a symbol of absolute courage and empowerment.